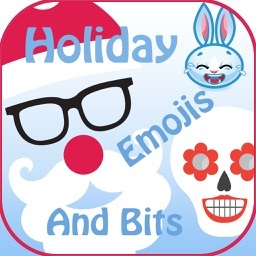 The most popular Holiday Emoji app is back, overhauled and as beautiful as ever! 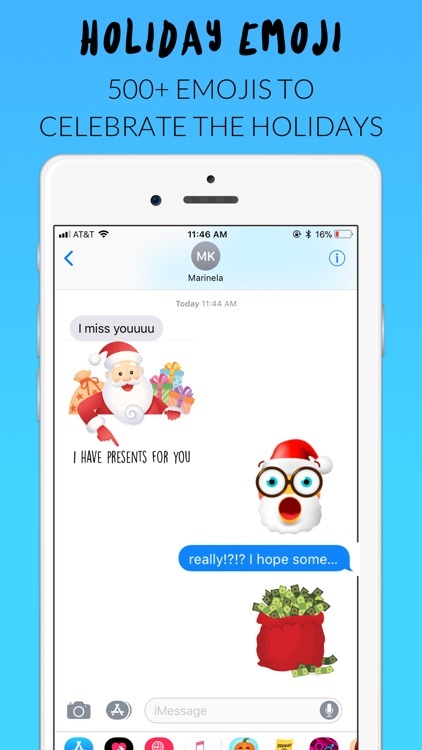 Ring in this holiday season and the New Year with this new amazing collection of emojis to get you right in the holiday spirit! 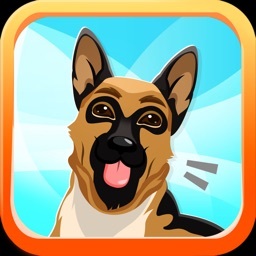 Everything's incredibly high quality, graphically drawn from scratch from our talented artists! 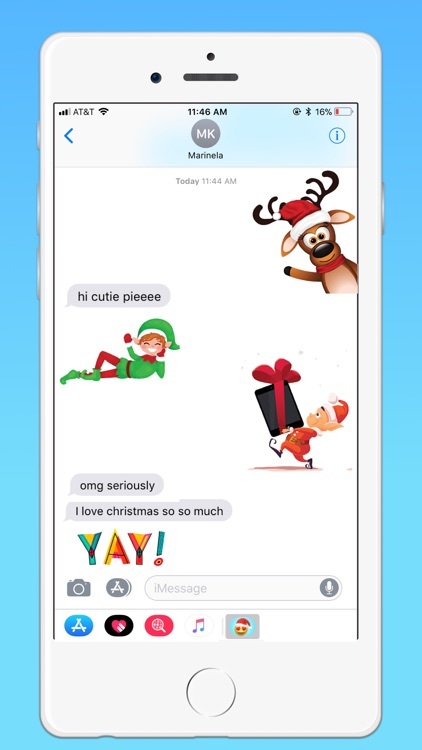 Easy, breezy to send - add this keyboard as an extension and you'll be able to text emojis through many messengers: imessage, whatsapp, viber, skype, etc. 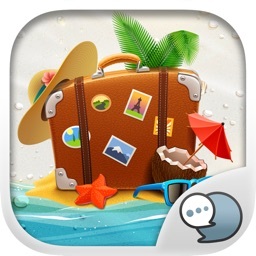 Or add it as an imessage extension and with one tap and no need to paste you can have amazing conversations with your imessage friends and loved ones! 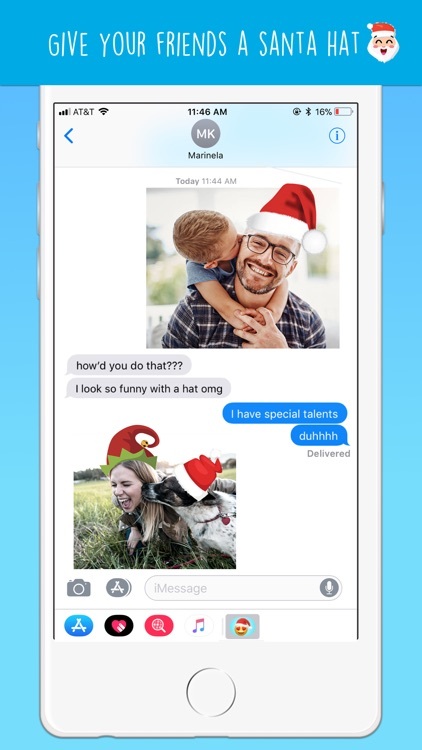 You can even drag emojis on conversation bubbles for something extra - eg drag santa hats and beards on your friends photos and watch their reaction! 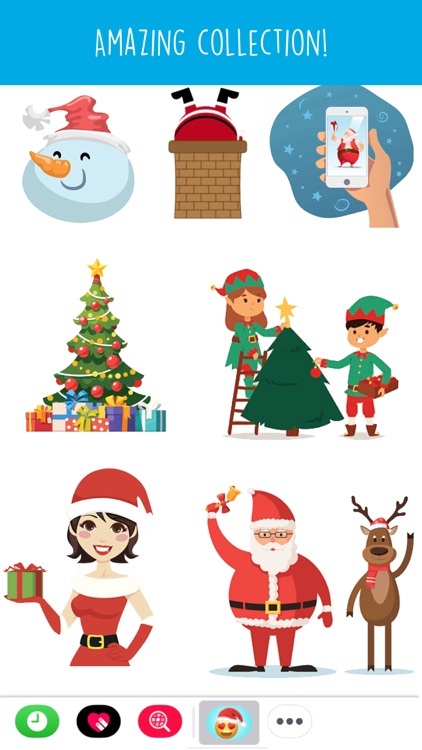 • Avatars and expressions - smiley santa, sad santa, witty santa, santa's helpers and many more! • Christmas decorations, hot chocolate, egg nog, mistletoe, Santa down the chimney and everything Christmas related, even the birth of Jesus! 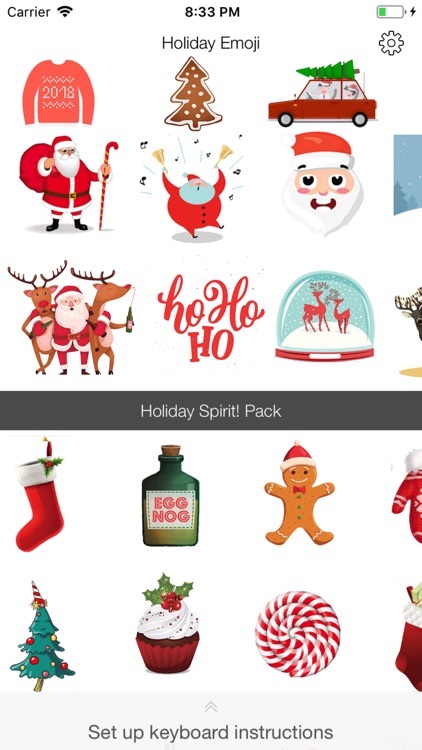 • Send Christmas, Holiday & New Year's Wishes - Get the year poppin'! 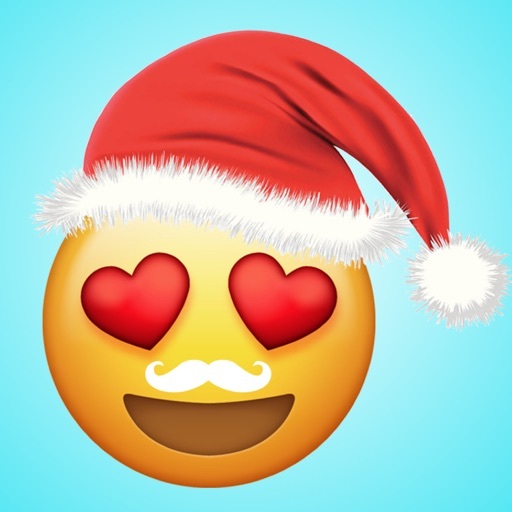 • WiNTeR snow, hot chocolate and fire <3 You'll get cozzy and hungry. 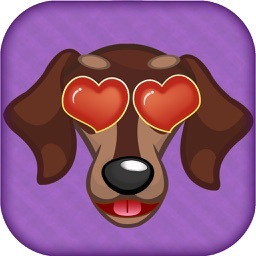 Note: This app comes with a free sampler pack of emojis, each additional category is $0.99 or $2.99 to unlock all.